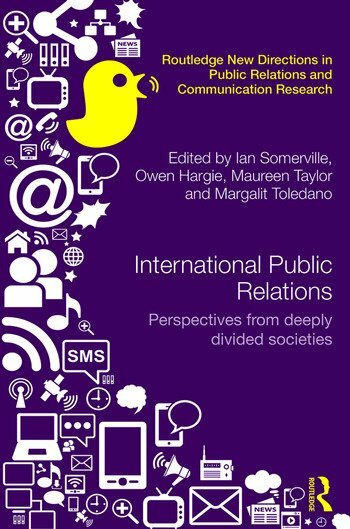 International Public Relations: Perspectives from deeply divided societies is positioned at the intersection of public relations (PR) practice with socio-political environments in divided, conflict and post-conflict societies. While most studies of PR focus on the activity as it is practiced within stable democratic societies, this book explores perspectives from contexts that have tended to be marginalized or uncharted. Presenting research from a diverse range of societies still deeply divided along racial, ethnic, religious or linguistic lines, this collection engages with a variety of questions including how PR practice in these societies may contribute to our understanding of PR theory building. Importantly, it highlights the role of communication strategies for actors that still deploy political violence to achieve their goals, as well as those that use it in building peace, resolving conflict, and assisting in the development of civil society. Featuring a uniquely wide range of original empirical research, including studies from Israel/Palestine, Mozambique, Northern Ireland, former Yugoslavia, former Czechoslovakia, Spain, Malaysia and Turkey, this groundbreaking book will be of interest not only to scholars of public relations, but also political communication, international relations, and peace and conflict studies. Ian Somerville is a Reader in Media and Communication at the University of Leicester, UK. Owen Hargie is Professor of Communication at Ulster University, UK. Maureen Taylor is Director of the School of Advertising and Public Relations in the College of Communication and Information, at the University of Tennessee, USA. Margalit Toledano, APR, is a senior lecturer of Management Communication at the Waikato Management School, New Zealand.